On Saturday July 9th, the world had it’s newest internationally recognized country. South Sudan had officially declared it’s independence from Sudan. News reports showed people dancing in the streets of it’s capital Juba, celebrating the end result of a long, hard struggle. The country has been quickly recognized by the United States and many other nations. 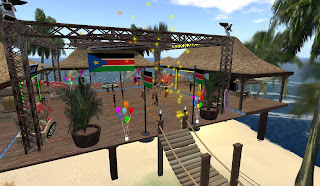 In Second Life, a “South Sudan Independence Party” was held the following day on Sunday July 10th at the Saffa Islands sim to commemorate the new African nation. With Sandy Kira as the DJ, the event began at 2 PM. The event was held at a beach club, with thatched roofs and surfboards, but with the South Sudanese flag prominently displayed. 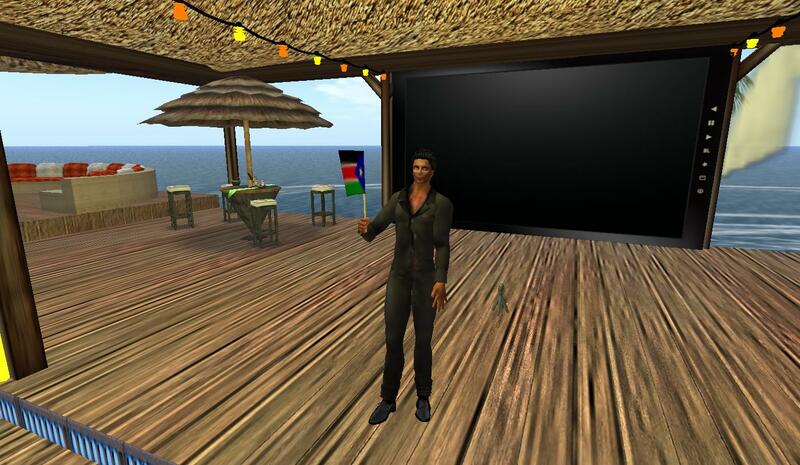 People were also waving small flags of the new country. The links Tonny Storm provided were Youtube clips, “Introduction,” “Independence Day” (Al Jadzeria), “Dr. 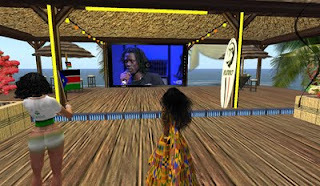 John Grang,” “Emmanuel Jal: The music of a war child” (the video shown at the end of the event), and “South Sudan song,” in addition to the country’s wikipedia entry: http://en.wikipedia.org/wiki/Southern_Sudan.